William Barr, Attorney General Pick, Vows To Let Mueller Finish Russia Work President Trump's nominee to serve as attorney general, William Barr, sought to assure members of Congress he won't thwart the special counsel's investigation after his earlier criticism. Attorney general nominee William Barr met with senators including Chuck Grassley, R-Iowa, last week. Barr has vowed to preserve special counsel Robert Mueller's investigation. President Trump's nominee to serve as attorney general vowed to permit Justice Department special counsel Robert Mueller to complete his work and said it was "very important" for the public and Congress to know the results. William Barr told members of Congress in written testimony ahead of his confirmation hearings on Tuesday that he's confident Mueller is handling his investigation properly and that he would be as open as possible when it's complete. Barr has been skeptical of Mueller; he wrote a memo last summer that questioned the legal basis upon which the special counsel might be looking into whether Trump may have obstructed justice. Barr said in his prepared testimony released on Monday that his assumptions about Mueller's use of the law were based on "media reports," and not on any detailed awareness about what was taking place within the Justice Department. "The memo did not address — or in any way question — the special counsel's core investigation into Russian interference in the 2016 election," Barr wrote. "Nor did it address other potential obstruction-of-justice theories or argue, as some have erroneously suggested, that a president can never obstruct justice." 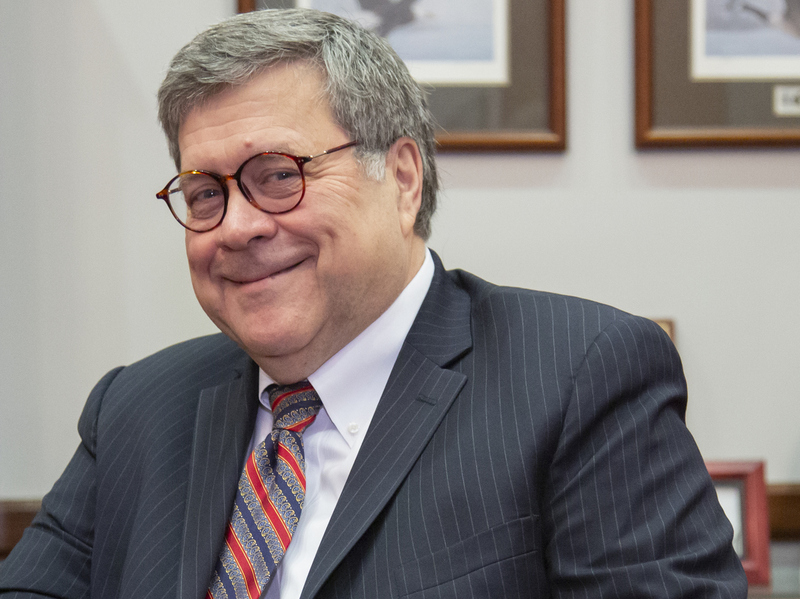 "I wrote it myself, on my own initiative, without assistance, and based solely on public information," Barr wrote. The 68-year-old veteran Republican lawyer is an important player in Washington legal circles and has served as attorney general once before, in the George H.W. Bush administration. In that capacity he supported Bush's use of his pardon power on six government officials who were involved with the Iran-Contra affair, including former Defense Secretary Caspar Weinberger, who had been set to face trial for allegedly lying to Congress. The echoes from that era have prompted questions about whether Barr may support another controversial pardon or pardons involving people in the Russia matter. Trump has refused to rule out pardons for people who have been swept up, including his former campaign chairman, Paul Manafort, who is awaiting sentencing after two federal cases last year. Manafort has been convicted in one case and pleaded guilty in another. Trump has said he thinks Manafort has been treated unfairly. Barr's support for the pardons in 1992 may be a topic for members of Congress at his confirmation hearing on Tuesday, along with other high-profile issues now confronting the Justice Department. Barr said in his prepared testimony he intended to "keep up the pressure" on chronic violent criminals; focus on the danger of political violence in what he called a highly divided nation; and execute the administration's priorities on border and immigration enforcement. Barr also promised that as attorney general he would continue to defend U.S. elections from the "active measures" like those exposed by the Justice Department and intelligence community since 2016. "I believe that our country must respond to any foreign interference with the strongest measures, and we must work with partners at the state level to ensure that our election infrastructure is completely protected," he wrote.